Have You Been Charged With A Motor Vehicle Theft In New York? Nassau County Takes Motor Vehicle Theft Charges Seriously! 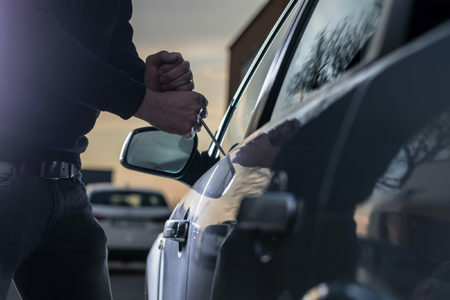 FIGHT YOUR MOTOR VEHICLE THEFT CHARGE WITH AN EXPERIENCED NASSAU COUNTY CRIMINAL DEFENSE LAWYER! DO NOT PLEAD GUILTY TO MOTOR VEHICLE THEFT CHARGES IN NEW YORK STATE!  If you or a loved one has been charged with a motor vehicle theft in New York State, you may be considering accepting a plea from the prosecution. As an experienced law firm, we urge you to contact our offices before you accept a plea bargain or enter a guilty plea. Even if the facts appear overwhelming in the favor of the prosecution, contacting a qualified and reputable criminal defense lawyer can help improve the odds of a favorable outcome for you. Below, The Law Offices of Michael H. Ricca P.C. helps explain the various charges you may be facing when indicted for motor vehicle theft, as well as the potential consequences and defenses associated with these types of crimes. Motor vehicle theft is one of those convoluted crimes that can instantly result in multiple different charges being filed at once. A tactic often used by the prosecution, this strategy attempts to charge an individual with multiple offenses with the hope that at least one, if not more, will result in a conviction or plea. Before we talk about the consequences and potential defenses for a motor vehicle theft, it is important to explain the nuances of each charge you may be facing. Larceny offenses occur when a possession is taken with the intent to deprive the rightful owner of that property. When you steal a car, the potential larceny charges you may face are based on the value of the vehicle. That means there are a number of different larceny charges that may be applicable based on the value of the stolen motor vehicle. One of the charges you may be subjected to is Grand Larceny in the Fourth Degree. While there are several theft crimes that fall under this charge, the value of the vehicle that was stolen is what makes this a potential charge. According to Section 155.30, if the value of the stolen property exceeds $100 and consists of a motor vehicle (as defined by New York Vehicle and Traffic Law, Article 1, Section 125), you may be facing a Grand Larceny in the Fourth Degree charge. If you are convicted of this crime, you have been found guilty of a Class E Non-Violent Felony. If the vehicle that was stolen is valued at more than $3,000, it is likely that you will be charged with Grand Larceny in the Third Degree. This is a Class D Non-Violent Felony in the State of New York. Grand Larceny in the Second Degree is another potential charge you may face for motor vehicle theft. If the vehicle is valued at more than $50,000, you may find yourself being charged with a Penal Law 155.40 offense. This is considered a Class C Non-Violent Felony. Robbery offenses are similar to larceny ones. However, they include an element of force that is not required for a larceny conviction. Also referred to as “carjacking,” these crimes are considered violent and, therefore, have more serious consequences than their non-violent counterparts. Perhaps the most common charge for motor vehicle theft, Robbery in the Second Degree occurs when a person forcibly steals a motor vehicle. Unlike a grand larceny charge, the value of the stolen motor vehicle does not matter. The use of force, however, does. Under Section 160.10, the use or threat of force, or the display of what appears to be a deadly weapon, will result in this charge. As such, Robbery in the Second Degree is considered to be a Class C Violent Felony. Robbery in the First Degree is often used when the motor vehicle was forcibly taken in conjunction with other crimes. For example, if you shoot a driver in order to take their vehicle while fleeing the scene of a crime, you may find your robbery charge elevated to First Degree. If you cause serious physical injuries, are armed with a deadly weapon, or display a loaded and operational firearm at an individual in an attempt to forcibly steal their motor vehicle, Robbery in the First Degree will result in a Class B Violent Felony charge.  Unauthorized use of a vehicle, or joy riding, is another potential charge related to motor vehicle theft in New York State. This is the least serious offense you may be charged with. Unauthorized Use of a Vehicle in the Third Degree can be issued for several reasons. If you have taken a car without the owner’s consent, you can expect this to be one of many charges you will face. However, if agreed to return the vehicle to its rightful owner at a specific time and disregard this, you may also be charged with this offense. Using a car that is entrusted to your or another individual’s care for maintenance or repair is also illegal according to this law. As the least serious offense for a motor vehicle theft, this is a Class A Misdemeanor. If you have previously been charged and convicted of a Section 165.05 offense within the previous 10 years, a second offense will be elevated to Unauthorized Use of a Vehicle in the Second Degree. Due to the repeat nature of this crime, Unauthorized Use of a Vehicle in the Second Degree is a Class E Non-Violent Felony. Like the previous joy riding offenses, Unauthorized Use of a Vehicle in the First Degree occurs when you take a motor vehicle without the consent of the owner. However, there is an added element that makes this crime more serious. This additional element is that you take the vehicle with the intent to operate, control, or ride in the motor vehicle during the commission of or while fleeing from the scene of any other Class A, B, C, or D felony. New York recognizes this as a Class D Non-Violent Felony. Pleading guilty or being convicted of a motor vehicle theft will result in serious consequences. Because New York has strict guidelines regarding crimes, understanding these consequences is part of making an informed decision. Depending on the classification of your charge, as well as whether it is considered a violent or non-violent crime, the below table provides the potential legal consequences you may face if you are convicted of one of the offenses listed above. We have included some information on Class A felonies in the above table. While none of the charges we have discussed here fall into these categories, it is important to note that a Class A felony is possible. If you use force to steal a motor vehicle and the victim dies as a result of that force, murder charges will likely result. Additionally, if you use the stolen vehicle to aide you with fleeing from the scene of a Class A felony, these charges may be included in your indictment. In addition to the potential jail sentence you may be faced with, you can also be fined. The amounts listed in the table above do not include the potential surcharges, fees, or victim restitution costs you may need to pay as well. For example, a Class D Non-Violent Felony may result in $5,000 fines, plus up to $300 in mandatory surcharges, $170 in additional surcharges, as well as $30 per month if you are paroled early and a $15,000 victim restitution fee. Employment: Every potential motor vehicle theft offense listed above is a crime. This means a conviction or guilty plea will result in a criminal record. Because of this, you will fail any background check required by various employers. This limits potential job opportunities and may even result in termination from your current employer as well. Additionally, your conviction can negatively affect the jobs of loved ones as well. Loans: Loan opportunities will also become scarce. Many financial institutions will refuse to offer loans to those who are convicted of previous crimes. When combined with the limitations now placed on employment opportunities, this can make the financial burdens of a conviction even more devastating. Housing: Certain housing opportunities can also be impacted. Public housing assistance, in addition to other public benefits, is not available to convicted felons. Private housing, such as apartments and condos, may also reject your housing application due to a failed background check. Colleges: Colleges are also likely to reject enrollment applications as well. Scholarships and student loans may also be impacted. Loss of Rights: Voting rights, as well as the ability to serve on a jury, are also lost for convicted felons. Certain parental rights may also be revoked and adoption applications will likely be rejected. Impacts to Personal Relationships: While every relationship is different, a felony conviction tends to affect all relationships. This includes present and future relationships with friends and family members, as well as professional relationships. Consent: If the owner has given you permission to use the vehicle, you cannot be charged with motor vehicle theft. This defense is often used when there was a misunderstanding of the terms of consent. For example, if your cousin gave you permission to borrow her car on Thursday and you mistakenly took the car on Tuesday – this is not theft and an argument may be made contesting this charge. Mistake of Fact: Mistakenly taking a vehicle that you thought was yours, or you had permission to use, is not theft. For example, if you purchased a silver 2017 Toyota Corolla and drive off in the wrong one from the dealership parking lot, it could be argued that you believed you had taken the right vehicle. Keep in mind, being caught using a any tool or device to take any car will likely not make for a successful “mistake of fact” argument. Permanent Deprivation: Larceny and robbery include an element of intentionally depriving the rightful owner of their motor vehicle. If you took the car, with or without permission, with the intention of returning it, your defense lawyer may be able to argue charges down to joy riding instead, which is a lesser offense. HIRE THE BEST CRIMINAL DEFENSE LAWYER IN NASSAU COUNTY TODAY! Investing in experienced, skilled, and reputable private counsel is essential to any criminal case. The consequences of a conviction or guilty plea are too great to trust your fate to an overworked public defender. While these individuals may be free and court appointed, they often lack the time and dedication your case needs for a favorable outcome. If you or a loved one has been charged with a motor vehicle theft, contact The Law Offices of Michael H. Ricca P.C. today for your free consultation.